Regular readers of my blog will be familiar with CH Clepitt. She's the writer behind the Crew Chronicles series - which I've reviewed every release yet - as well as the Lineage series of modern vampire tales. 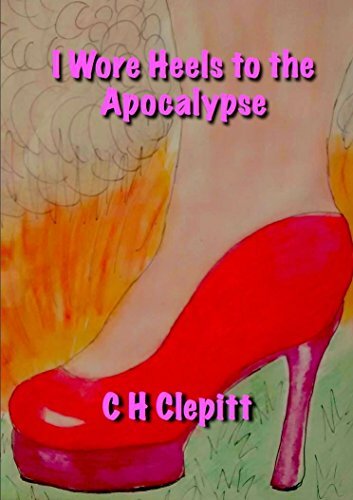 I haven't yet dived into her books I Wore Heels To The Apocalypse - despite its fabulous name - and its sequel. That's merely a matter of time, I assure you. Beyond her books, she is also a very supportive enthusiast of indie writers, and a fan of, well, badgers. But let's let her tell you all about that. Tell us a little about your most recent book – what is it called, and what is it about? Give us your elevator pitch to make us fall in love with it! 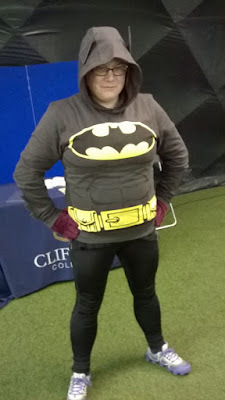 My most recent full length book is Everything is Better With a Cape: The Second Part to I Wore Heels to the Apocalypse. Everyone loved the characters from Heels so much that a sequel was almost essential, but I'd already squeezed all the satire I could out of the Apocalypse, so this one had to be a super hero spoof. If you like supersonic sarcastic badgers, you should really give this one a try! I love super hero films, it is one of my favourite genres, but in spite of recent improvements, with characters like Anissa in Black Lightning, and Sarah in Legends of Tomorrow (both series rather than films) there is very limited LGBTQ+ representation within the genre. As indie authors, we are in a unique position to rectify under-representation, and as almost all of my characters from Heels are LGBTQ+, what better way to achieve this, and kill two birds with one stone? As with all satire, I make some serious points, but it's a fun story, so give it a try. Who are your favourite authors to read? And whose writing do you feel has inspired your own work most? I love reading Sarah Waters. You can tell the amount of research that goes into writing her books, reading them you feel like you're in whatever time period she has set her story in, and the characters are so real, it's amazing. I also love Phillip Pullman's Dark Materials, which was the first series of books I actually read for pleasure, and Neil Gaiman. In terms of Indie authors, I would recommend checking out Rose Montague, Claire Buss (The Rose Thief is particularly good) N C Stow and I'm sure I'm missing loads, so hit me up on Twitter! What touched me most about Heels was people saying that they could really relate to it, it made me feel like I'd done something right. It's always wonderful when people tell you that they enjoy something you've written, it makes it all worthwhile. What’s next for you as a writer? What’s cooking in your literary kitchen? 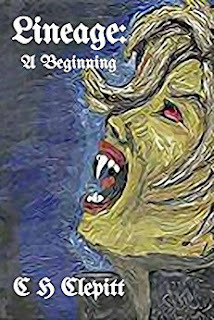 I have a fantasy and a sci-fi on the brew, along with several more episodes in my short story series. Watch this space. What’s the most fun piece of technology/magic that you’ve included in your novel that you wish you had in real life? Peter's knock out pen. If I had a pen like that I'd be knocking out annoying people left, right and centre! What has been your most satisfying moment as a writer so far? What made you punch the air? I had a brilliant Sabotage Review of Heels, it was amazing, because a friend told me they aren't backwards about coming forwards if they don't like something, so it felt really good to know that they'd liked it. I am very upset that you have not included Buffy in your list... I am really into all the DC series at the moment, Arrow, Legends, Supergirl, Black Lightning. They are doing an amazing job. Are your books available in audio format? How have you found the process of transforming it from the written page? 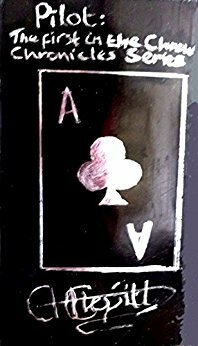 I am in the process of turning all of my books and short stories into Audio. The process has been very rewarding. I wasn't holding out much hope of getting a narrator, as I didn't have the budget to pay up front, so offered all the stories as royalty share. All the sites say you are unlikely to get any auditions going down this route, but I have been absolutely overwhelmed by the number and the quality. What it has told me is my books are good enough, and other people believe it too, and that is an amazing feeling. The narrators I am working with are brilliant and have done an amazing job on the stories. Wait, what's this in the middle of the interview? Someone has gone and gatecrashed with an Easter egg hunt! Oh well, you'd best explore and find out more. Go on, click it. Right after you read the rest of the article, of course! Marketing is always a challenge for writers – to share the love, what have you found the most useful tip for spreading the word about books? Honestly, marketing is something I really struggle with. The best tip I can give you is keep plugging and don't get disheartened. People need to see a thing something like 7 times before it stays with them, so just plug, plug, plug! I have to ask for readers who might want to know: Is this a kissing book? I love the short story series that you do - particularly the Crew Chronicles and Lineage. What plans do you have for those for the future? I am excited to say that Lineage: Of Blood will be out on audio later this month, and I am currently writing the third in that series. I am also in the process of producing audio for The Crew Chronicles, so will be working on the next in that series soon. I am currently reading The Well of Loneliness, and the best thing this year so far is probably Fracture: Divergence by Eric Schubach. Thanks for stopping by, it's been a pleasure to have you stop by. Swing on back anytime - especially if you've got more Crew Chronicles! 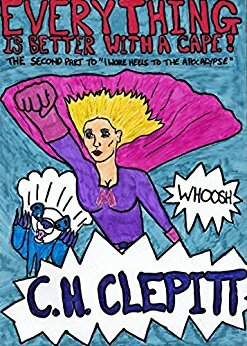 Check out CH Clepitt's books on Amazon here. 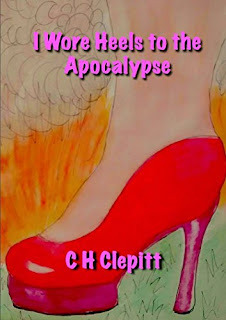 I Wore Heels To The Apocalypse is free to download over Easter weekend. 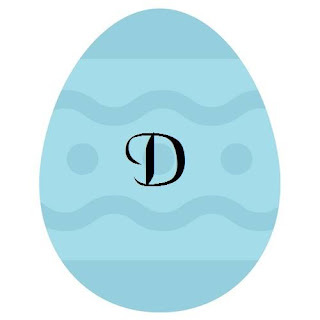 Check it out at the link below.